When it comes to designing a walkable city, there are numerous elements to consider. Some of the features include; the proximity of destinations, the infrastructure, the cleanliness of the city, and the accessibility. In this post, we are offering various CAD drawings that will help achieve the goal of making a walkable city. 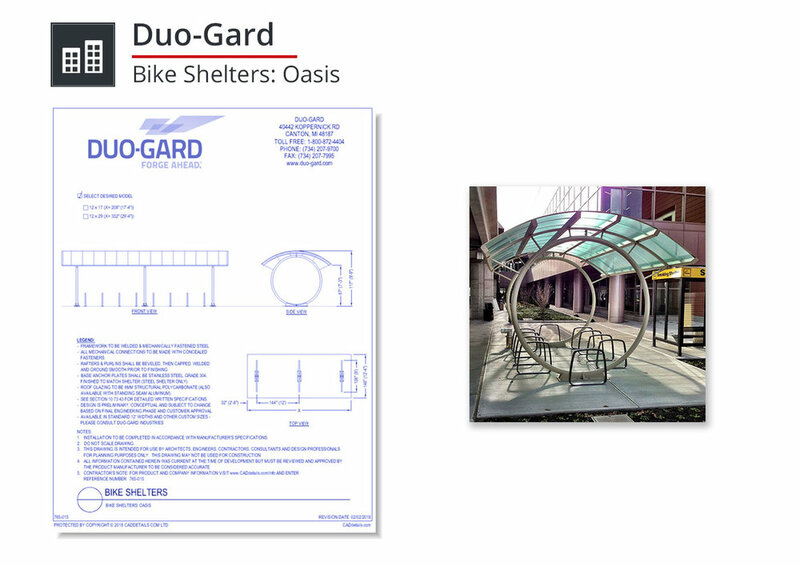 We’ve applied our extensive knowledge and experience to develop a variety of standard bike shelter models. 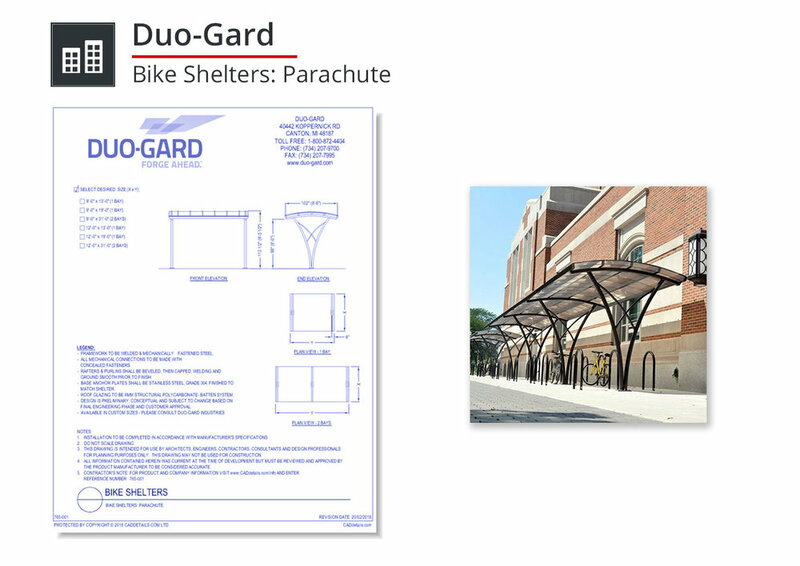 Duo-Gard shelters are architecturally designed. Custom solutions are not a problem. We’re happy to collaborate with you to create any conceivable shelter size, shape and look you desire. Sustainable & Eco Sensitive. We construct our shelters from recycled materials. These shelters apply to multiple LEED* compliance categories. We proudly manufacture Duo-Gard products in the USA! The French tree grate has a rich decorative pattern inspired by the boulevards of Europe's leading cities. The intricate ornamental design works well in both square and round patterns. For special, upscale applications, our Broadway tree grate can be custom fabricated from stainless steel or aluminum to virtually any dimension. In the aluminum version, we give the tree grate a heavy sandblast followed by a hard, clear anodized finish. The result is a unique gun metal gray finish with a grittier texture that provides slip resistance and premium durability. With stainless steel, we electropolish the grate which imparts a bright, lustrous finish and delivers superior corrosion protection. Urban elegance with main street appeal defines the Midtown series as an updated classic for landscape design. Modish, smart simplicity allows this series to blend with a bustling city streetscape or a quiet town park. In any environment, the Midtown collection will add functional sophistication. A masterpiece inspired by the grand designs of ancient times, the Athenos captures the timeless building character of classical Greece. 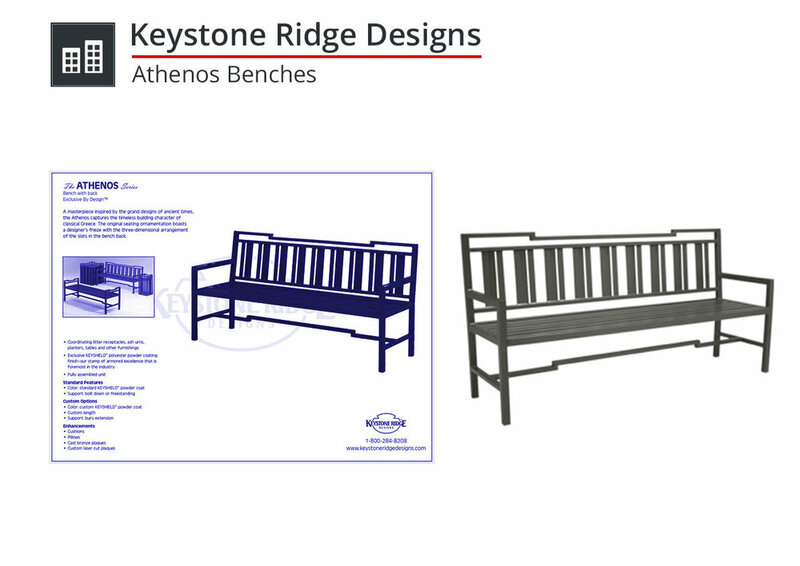 All Athenos pieces are Exclusive By Design. The distinctive Horizon series is expertly designed to fit any setting from a Japanese garden to a downtown cultural district. The collection Dimanche provides warmth and refinement to public places. The enveloping comfort of the wood creates a cozy ambience while the clean lines of the silhouette deliver a fresh urban look. Created in 2007 by a local designer to highlight our 25th anniversary, this urban line of outdoor furniture is modern and modular. Its unique design makes it uncommonly versatile in its applications and will easily adapt to on-site elements. Frame made of aluminum, painted. Larger container, 28 Imp gal./33 US gal. 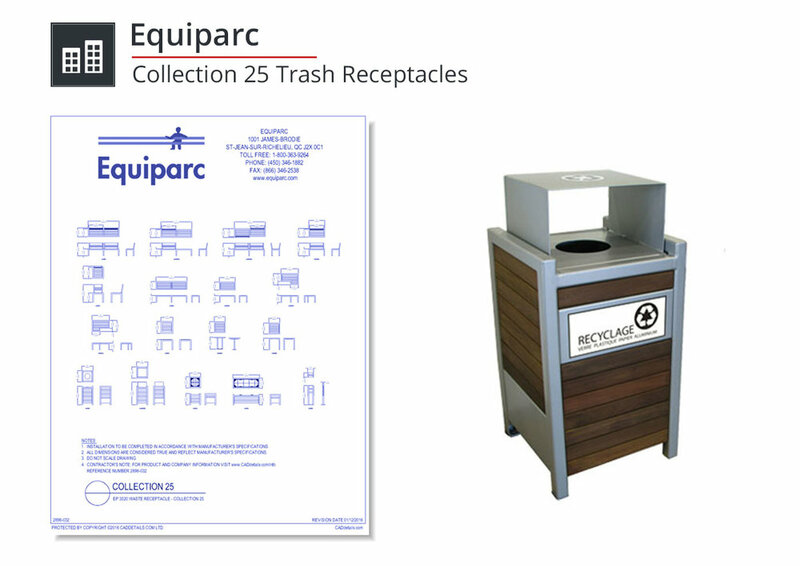 This metal and wood trash receptacle features a reclining container to ease the removal of trash or recycling. The award-winning Ribbon Bike Rack. The most innovative and unique bicycle rack ever. 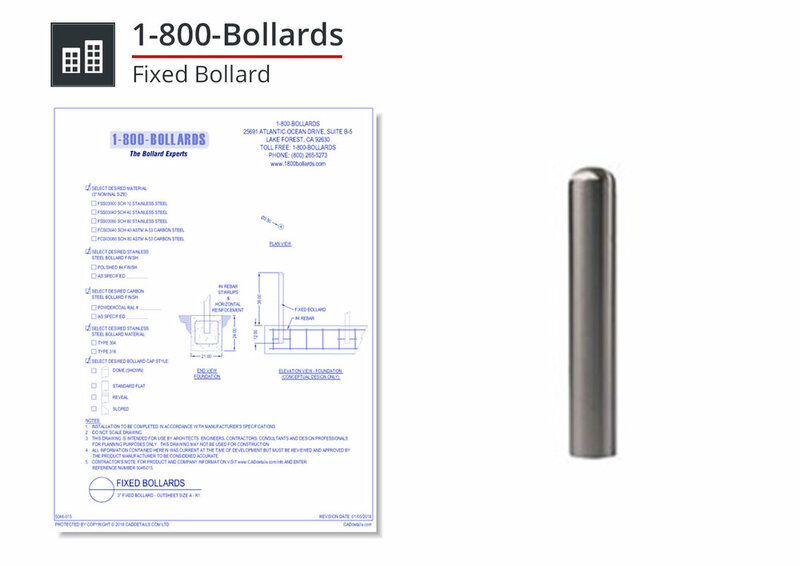 Graceful curves of tubular steel, sculpted to fit, and enhance, any architectural setting. The Ribbon Bike Rack. Recognized by the Industrial Designers Society of America, "for its elegance and simplicity while providing maximum functional security." And recognized by architects everywhere for its striking harmony of form and function. The Ribbon Bike Rack has been accepted as part of the permanent design collection of the Museum of Modern Art. Perfect for screening views, or creating separate seating areas in large open spaces. This planter allows more flexibility in changing the feel of a space. Perfect for screening views, or creating separate seating areas in large open spaces. Ideal for hospitality, commercial, or residential environments. 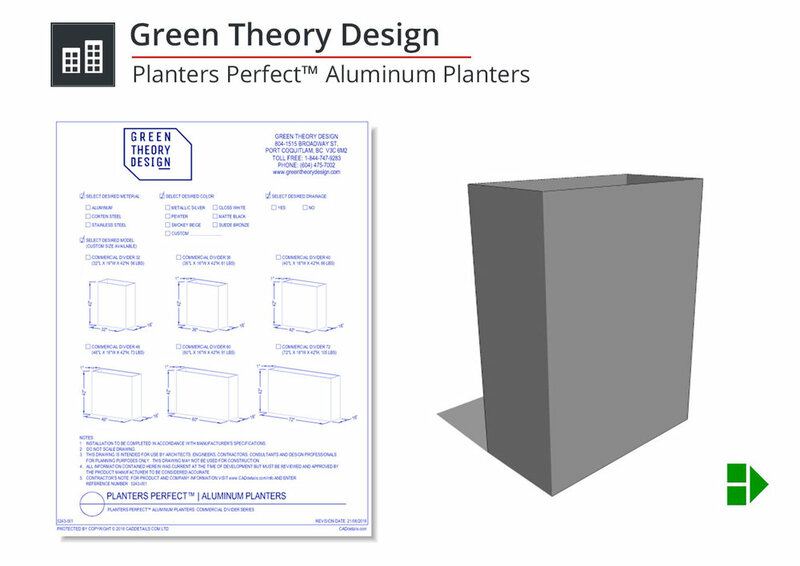 This planter allows more flexibility in changing the feel of a space instead of moving walls, relocate planter or change the height of greenery.